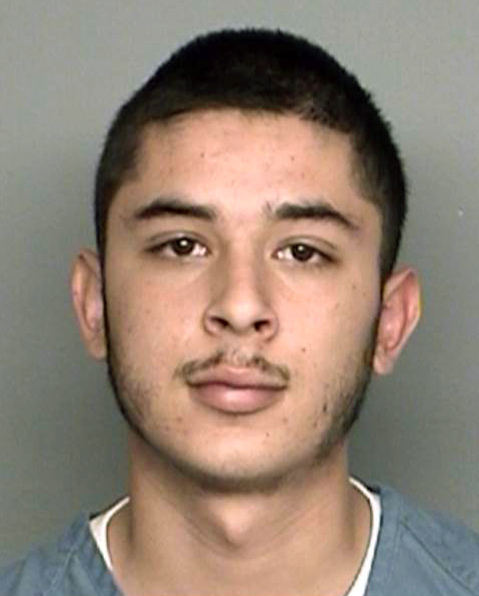 The Santa Barbara County District Attorney’s Office has levied felony charges against 19-year-old Jose Gutierrez and 22-year-old James Taylor, residents of Goleta and Lompoc respectively, for their roles in the May 11 shooting on Sabado Tarde Road. Each suspect has been charged with two counts of attempted murder, which the official complaint goes on to describe as “willful, deliberate and premeditated.” The complaint specifies the use of a 9mm handgun to shoot one victim in the abdomen and another in the chest, procuring additional charges of assault with a deadly weapon. Both victims were transported to Goleta Valley Cottage Hospital and are expected to recover from their injuries, according to reports earlier this week. A few special allegations underscore each of these charges. One links the crime to activities of the South Los Angeles street gang 62 Brims, also known as “Six-Deuce Brims.” Another specifies that a firearm was employed to carry out all crimes. A third denotes the suspects’ ineligibility to serve their sentences in a county jail, rather than a state prison. Since their release from the hospital, Gutierrez and Taylor have been transferred to the county jail. Taylor is allegedly being held without bail due to outstanding probation warrants, while Gutierrez is booked on $1.6 million bail. Both are scheduled for arraignment on Monday, May 18.